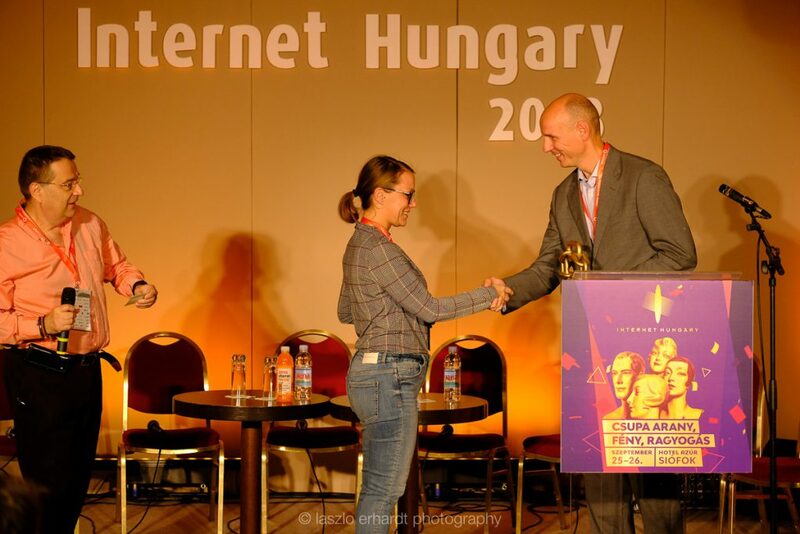 Geomant’s Regional Manager for Hungary Adorján Bortnyák spoke at the Internet Hungary conference in Budapest last month, where Geomant presented the prize to the winner of the Best Support Service category. Adorján was interviewed about AI and the importance of online customer experience, a timely and compelling piece that has been covered in the Hungarian media. Here we translate the key points of the interview into English for our international audience. “The rise of digitalisation has affected buyer behaviour in many ways, but one thing is certain – it has raised expectations of customer service and made consumers impatient. The expectation is now that there will be a quick and accurate response to any query made whilst browsing a website and if that’s not the case, your business will suffer. Indeed, 64 percent of online buyers will leave the e-commerce platform they are browsing on if they are not able to access help in real time. This means that e-retail business who do not invest in a slick online customer experience run the risk of losing over half of their potential customers. “In an extremely competitive time for e-commerce enterprises, 89 percent of businesses want to differentiate themselves from their competitors based on customer satisfaction online. E-commerce companies are spending tremendous amounts of money on marketing, advertising and website development, driving visitors to their online shop in ever greater numbers. The problems arise when no one thinks about what happens once a customer is on the website and has a query about a product or service. Customer service is still seen as an area where businesses can cut costs, rather than somewhere they should be developing and fine-tuning their offering. “According to a 2018 study, revenue from the largest retail outlets in England has grown by some 23 percent in recent years, and this trend can be linked to the successful introduction of artificial intelligence-based customer server tools built on digital e-commerce systems. Today’s e-commerce can be clearly activated through digital customer service and, artificial intelligence has a key role. In customer service, artificial intelligence can be used to understand the customer's intent and to respond as accurately as possible to queries, whether written or spoken. With the use of MI, chat-based or live-language systems can be implemented with much wider self-service. If you're interested to learn more about 'Why AI and chatbots should be a priority for online businesses' take a look at our informative webinar, available online now.